Professional Services | Fasco, Inc.
Here’s how it works at FASCO Inc. : We select an architect/engineer for a specific project and place them under contract as part of our design-build team. We then work with the owner to plan, design and construct the project to meet the specific goals, constraints and demands of the project. 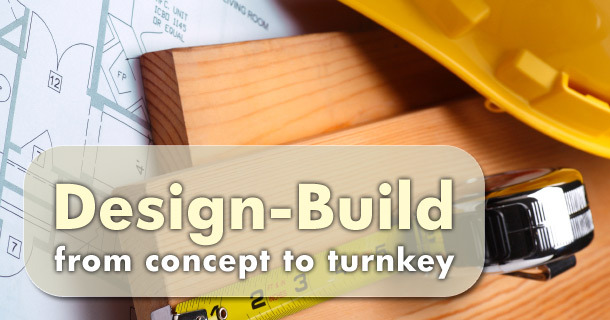 Design-Build enhances the opportunity for improved coordination between the designers and constructors, more efficient and constructible designs, economies of time and cost and a potentially greater overall team approach. Need a construction takeoff and estimate for a project you are bidding? FASCO can help! Our company has a proficient staff of construction cost estimators to work on your residential, commercial, or civil construction project. We specialize in preparing material takeoffs and material lists for every construction trade. One of our construction estimators will quantify from the blueprints, all the materials and accessories needed for your trade. It will be in Microsoft Excel, in the format you need, so you can send it out to bid quickly. Commercial construction projects are complex. Decisions that impact project scope, schedule and cost come up every day and the array of professionals involved can be bewildering- architects, engineers, general contractors, subcontractors, government agencies. You need trusted partners who understand the intricacies of commercial construction. Experts you can rely on to shepherd your project to successful completion. Let FASCO Inc. help you achieve your construction goals!